One would think that a hepatitis B vaccine with 100% efficacy, negligible safety issues, and mountains of clinical data already supporting it would be valued at a little bit more than $70 million. After today’s announcement of a $23.6M investment from Perceptive Advisors, this is indeed the valuation that the market is giving Sci-B-Vac, VBI Vaccines, Inc. (NASDAQ:VBIV) flagship candidate. Now with a well-padded balance sheet of $41 million and an average quarterly burn of only $2.4M over the last year, VBI is currently valued at just $110M. Subtract cash, and that means the entirety of its biotech asset portfolio is only fetching about $70M in equity markets, and that’s assuming that everything else it is developing aside from Sci-B-Vac is valued at zero. This would be understandable if the chances of approval for Sci-B-Vac were slim, or if FDA approval were a long way off, or if finding a market for the vaccine were a major issue. None of this is the case with VBI Vaccines, Inc. (NASDAQ:VBIV). The data behind Sci-B-Vac are rock solid, a registrational Phase III trial is likely to begin in the first half of 2017, and the target markets for the vaccine are clear and accessible, which we covered on the back of Phase IV data announced in November. Since then, remarkably, VBI’s market cap has declined still further. Along with $13M in debt financing, Perceptive acquired about 3.5M shares at $3.05 each, above market but still below where the stock was following the November Phase IV data announcement. Since then, VBI’s main 3rd generation HBV vaccine competitor Dynavax Technologies Corporation (NASDAQ:DVAX) had its flagship HBV candidate rejected by the FDA for safety reasons, and despite this, at over $200M Dynavax is still twice the valuation of VBI. Obvious market miscues like these are what attract shrewd biotech hedge funds like Perceptive Advisors to make their moves. 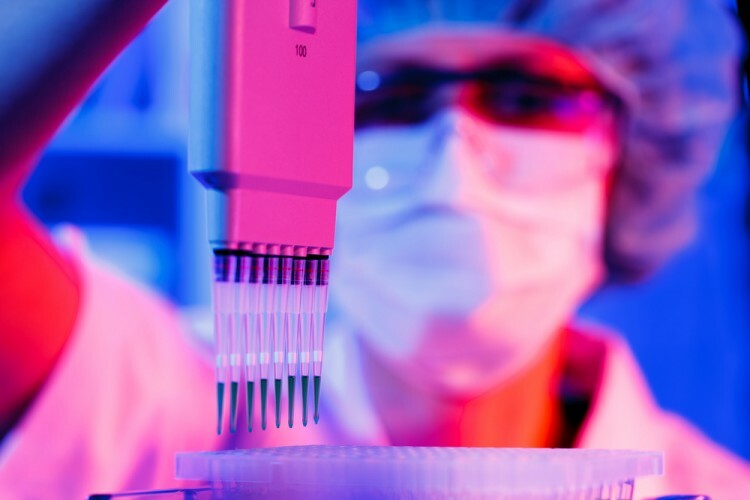 This year, the fund hit three home runs with positions in Corbus Pharmaceuticals Holdings Inc. (NASDAQ:CRBP), Sarepta Therapeutics Inc. (NASDAQ:SRPT), and Tesaro Inc. (NASDAQ:TSRO). Corbus, of course, is this year’s #1 biotech stock, which we have covered extensively in addition to in depth reports on Sarepta. Perceptive now owns nearly 16% of the company, increasing its lead as VBI’s largest institutional shareholder. Runners up are Clarus Advisors, with a 7.5% stake, and Cambridge Investment Research Advisors at 3.8%. Judging by Perceptive’s 42% annualized return since 1999, the hedge fund doesn’t typically take large positions in companies that will take years and years to mature. That Perceptive is increasing its stake in VBI specifically now shows that it expects the position to pay off in the near to medium term. VBI Vaccines, Inc. (NASDAQ:VBIV) puts the estimated market for Sci-B-Vac at $600M annually. It is currently the most advanced HBV vaccine closest to US approval after the fall of Dynavax’s much-followed Heplisav-B. The difference is that Sci-B-Vac doesn’t suffer from the autoimmune safety issues that doomed the latter, at least as far as data from 6,000 patients already tested is concerned. There is little reason for Sci-B-Vac not to be approved in the United States and Europe, as it is already approved in 15 countries and is in fact the standard-of-care HBV vaccine in Israel. Together with its other assets, including promising cytomegalovirus and GBM brain cancer vaccines and now with plenty of cash to get it through a registrational Phase III trial and FDA approval, its current valuation probably will not last much longer, especially given the reputation of Perceptive Advisors over the last two years in particular. Note: This article is written by David Rich and originally published at Market Exclusive.